Who: LA-based noise punk trio, Flat Worms are poised to take over the world, or at least what you are listening to. 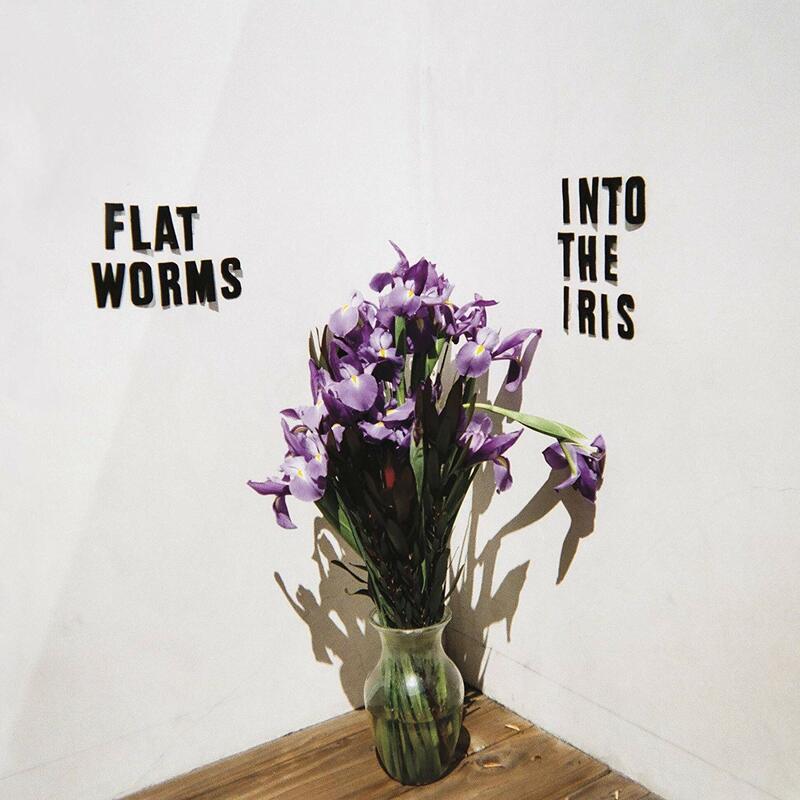 Sound: Into the Iris see the Flat Worms sharpen their hooks and keeping things lean with a very accessible and aggressive noise pop hybrid. TFN Final Take: I first heard Flat Worms at the very end of 2018. One of my favorite music blogs recommended their The Apparition / Melt the Arms 7” as one of the year’s best releases. They were not wrong. Like any good music supporter does, I checked into their past releases and found their debut 7” EP, Red Hot Sand (via Volar Records) and their self-titled debut LP (via Castle Face Records) to be just as delightful as their latest single. These guys seemed like the real deal. 2019’s Into the Iris cements Flat Worms as the real thing. The refreshing thing about Flat Worms is their straight-forward approach to making great songs. There is no gimmick or shtick, there’s no fuss; they just write catchy songs that you can’t get out of your head. Will Ivy, Tim Hellman (Thee Oh Sees, Sic Alps) and Justin Sullivan (Kevin Morby, The Babies) have crafted a body of work that will appeal to fans of early post punk bands like Wire and those who are keen to a new generation of remarkably talented bands such as Sleepies, Washer and Telepathic. Each of the six tracks (recorded by Ty Segall in his home) on Into the Iris are saturated with hooks and have a hypnotic and buzzy allure to them. This EP is as wiry and succinct as it gets. It leaves you wanting more, and that is a good thing in my book. I can’t wait to hear more from this remarkable band. Into The Iris may be my EP of the Year. It’s that good.